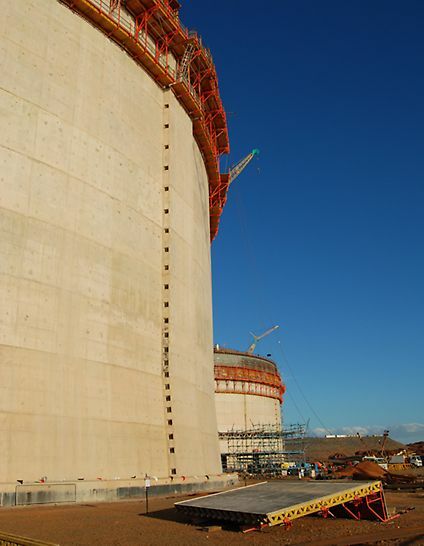 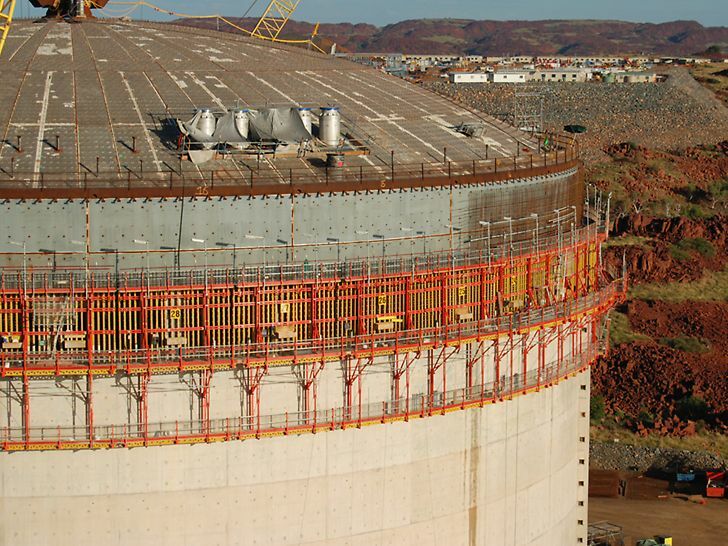 Chicago Bridge and Iron (CB&I) is playing an important role in the development of the $12 billion Woodside ‘Pluto’ LNG project on Western Australia’s Burrup Peninsula near Karratha. 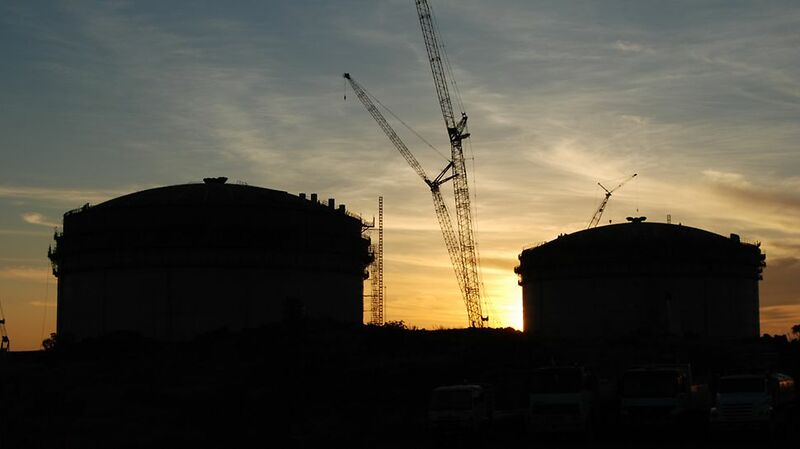 The Pluto project is the world’s fastest developed gas project, with gas began flowing in 2010 – just five years after discovery of the field in 2005. PERI Engineering Support was readily provided and the PERI Representative frequented site on a number of occasions where queries needed to be addressed. 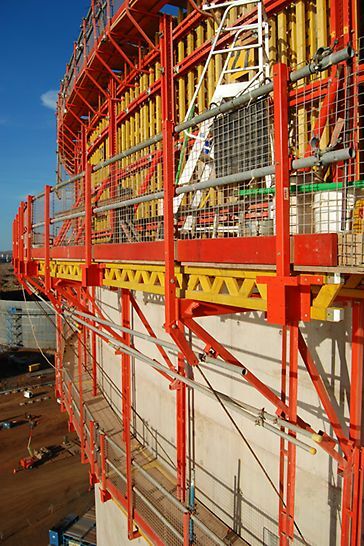 PERI Vario system was selected so that the formwork could be pulled back from the concrete after pouring and jumped (or lifted) up by crane to the next level. 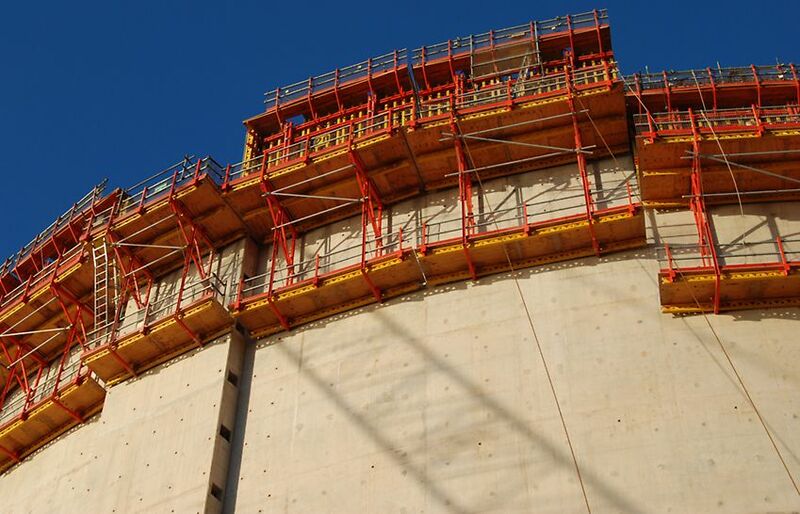 Steel reinforcing was safely fixed from the top deck and Vario’s versatility allowed top reinforcement tying works to be carried out safely from behind the shutters (when retracted) after the shutters were jumped. 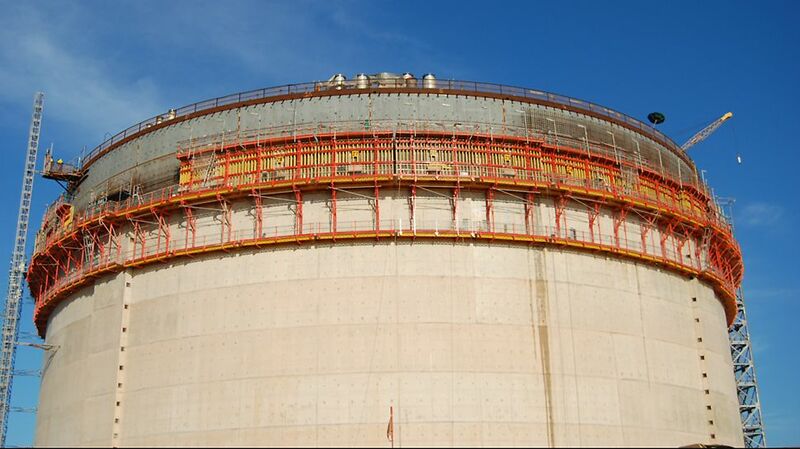 Stringent quality controls were applied throughout the project, including stringent material certification requirements to verify the steel quality of the PERI hex nuts and similarly tight controls on the quality of welds which attached the nuts to the liner to engage the DW15 ties.